Formula One BMW Sauber F1.07-06B Drived by Nick HEIDFELD / Robert KUBICA / Sebastian VETTEL. 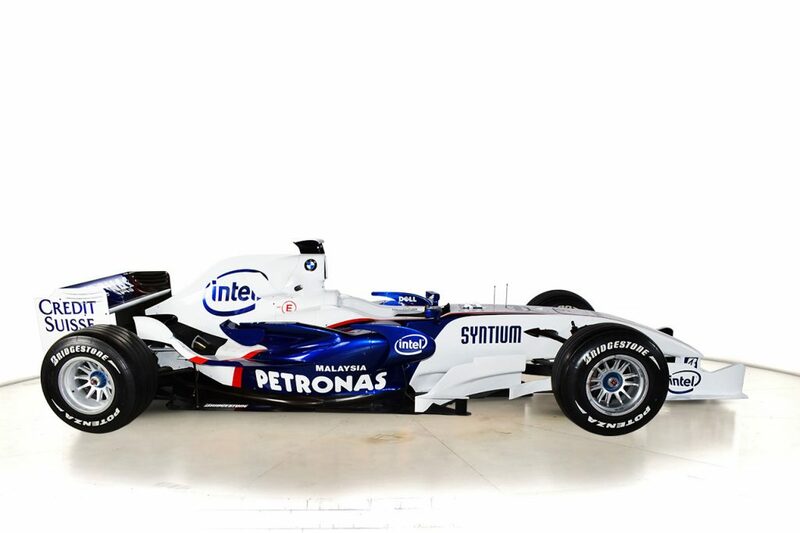 The BMW Sauber F1.07 for the 2007 Formula One season. The car was the first to have been designed fully by BMW, following their purchase of the former Sauber team. Initial pre-season testing was very positive, with many speculating that BMW could surprise some of the top teams with their performances when the season got underway. The car was a significant step up from 2006’s F1.06, scoring 2 podium positions in a season in which 46 of the possible 51 podium positions were occupied by Scuderia Ferrari and McLaren in a dominant season. Both of these were by Nick Heidfeld a 2nd at the 2007 Canadian Grand Prix and a 3rd at the 2007 Hungarian Grand Prix. However, they scored points on 26 out of a possible 34 occasions. They scored points with at least one car in every single race, and points with both cars six races in a row between the French and Italian Grand Prix. Robert Kubica had 4th places in Spain, France and Britain, which were his best results. Sebastian Vettel scored points for 8th place in his only appearance for the team, at the United States Grand Prix. Heidfeld was the only driver to frequently break the Ferrari/McLaren deadlock at the front of qualifying, with his best result being 2nd on the grid in Hungary. The BMW Sauber cars qualified in the top 10 in every race apart from Kubica qualifying 14th in Belgium. The car was also involved in one of the biggest crashes of the modern era, Kubica’s at the 2007 Canadian Grand Prix. He was replaced by future world champion Vettel for one race.